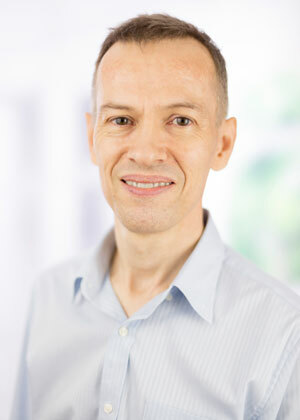 Dave A Wyatt is an executive director and head of patent and industrial design at Henry Goh Malaysia. Upon graduating from The University of Birmingham in the United Kingdom with an honours degree in electronic and electrical engineering, Dave initially worked in industry as a design engineer for a major consumer electronics manufacturer. He began his IP career in the patent department of General Electric Company in the United Kingdom, later working in private practice with leading patent attorney firms in London and Munich. During this period of his career, Dave qualified as a European patent attorney. He joined Henry Goh in 1996. Outside of the office, Dave has given presentations on Malaysian IP law and practice to local institutions of higher learning, business councils, industry and professional associations, as well as in Henry Goh’s regular public educational seminars. He has also served as a judge at ITEX, the international invention and innovation exhibition that is held annually in Malaysia. Throughout his career, Dave’s practice has focused on patent drafting and prosecution. However, apart from prosecution work, patent disputes and litigation have been increasing in Malaysia in recent years and Dave has come to be in demand for his opinions on patent validity and infringement. Since 2006, he has appeared before the High Court in several states of Malaysia as a patent attorney expert witness. With over 25 years of IP experience, Dave’s advice and opinion on IP protection strategies from the business, technical and legal viewpoints is much sought after. His approach is always down-to-earth and practical, recognizing that IP rights are first and foremost business tools rather than purely legal instruments. His expertise has received professional recognition and acknowledgement by industry peers. Dave is listed in IAM Patent 1000, a guide to leading private practice patent professionals and firms in the world’s key jurisdictions, and in the Who’s Who Legal – Patents directory of patent agents. As far as professional affiliations are concerned, Dave is a member of the Malaysian Intellectual Property Association (MIPA), the Asian Patent Attorneys Association (APAA), the International Federation of Industrial Property Attorneys (FICPI) and the International Trademark Association (INTA), and an associate member of the UK’s Chartered Institute of Trademark Attorneys (CITMA). True to his engineering roots, he is also a member of the UK’s Institution of Engineering and Technology (IET) and a chartered engineer of the Engineering Council UK.